You know that we’re all about family travel and experiencing everything together or having the random weekend as a couple. 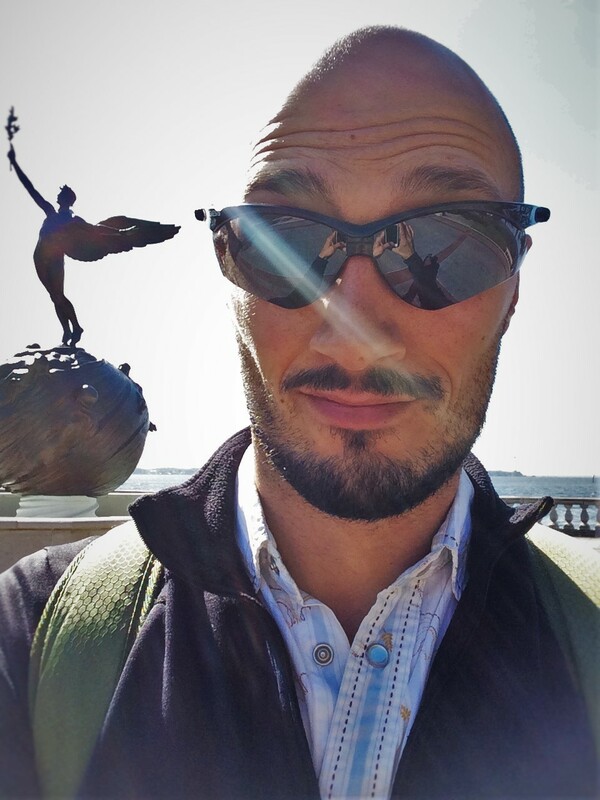 Well, I (Rob) just did the unthinkable: solo travel. Whaaattt?!?!?! Yes, it’s true. 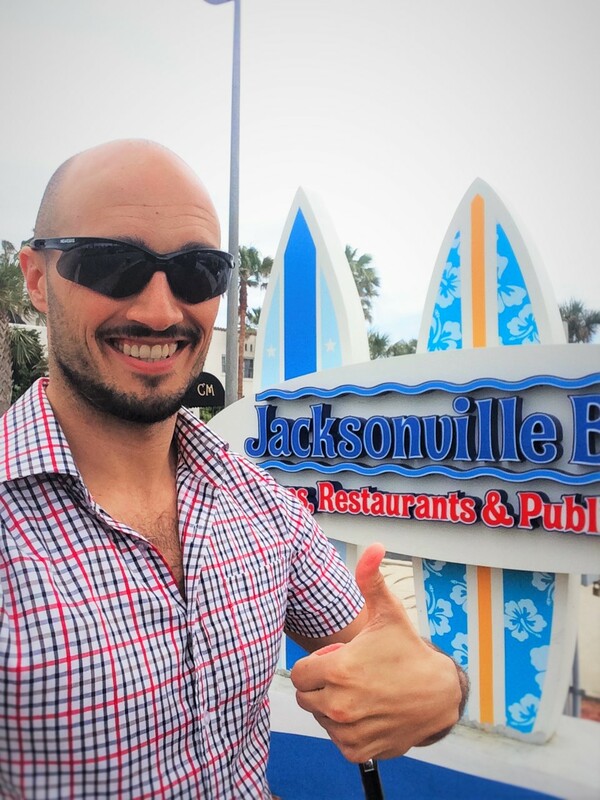 I spoke at WordCamp in Jacksonville, Florida (#WCJAX) and made the journey all by my lonesome. Thank goodness for Mister BNB. MisterBNB totally saved my trip and kept me from falling into parental withdrawal. I haven’t done any solo travel since…2004. Wow. That was a long time ago. Trying to think back to how that was and what my travel style was is funny. I’d drive for 17 hours and then stay is an icky motel in a rural town. And then I started to mature my tastes and what I could afford. 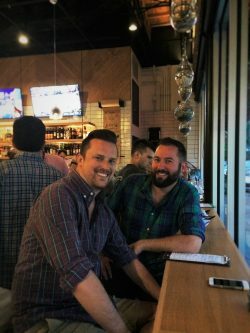 And then Chris and I got together and we were able to change our travel style even more as a couple and do some stereotypical gay travel things. But then it’s been family travel for the last five years and that’s a totally different experience.. 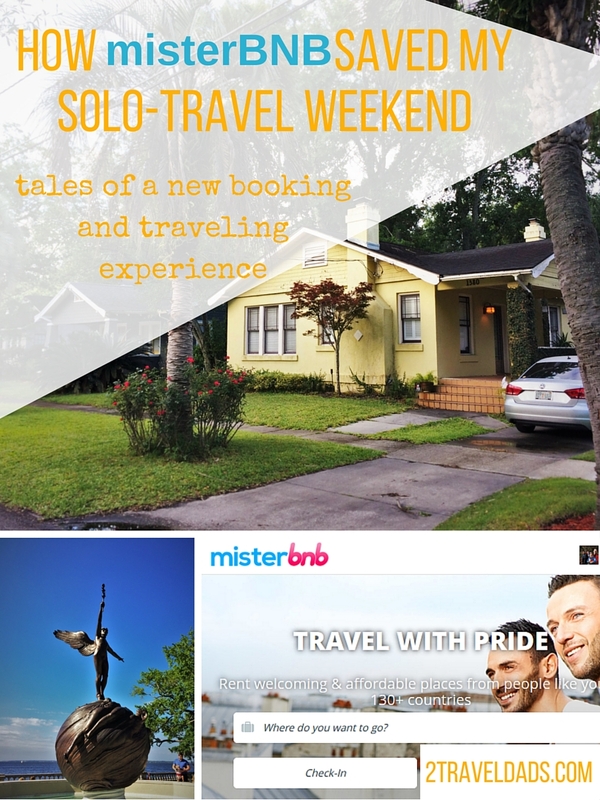 When I started planning for my trip down to JAX, MisterBNB was a great option for me. I’m glad they welcomed me in because spending a weekend alone for the first time in 12 years sounded… awful. Quick anecdote: I got a tragic FaceTime call from our oldest on Saturday morning before 8am and all I could understand was “I I I….I miiiii….I miiiiss y… y… you!! 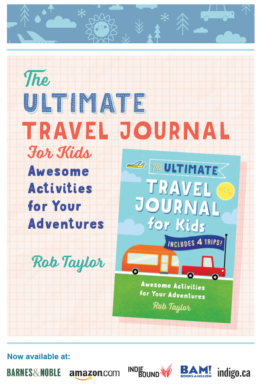 !…” It was dramatic and pulled on all of my solo-traveler heart strings. 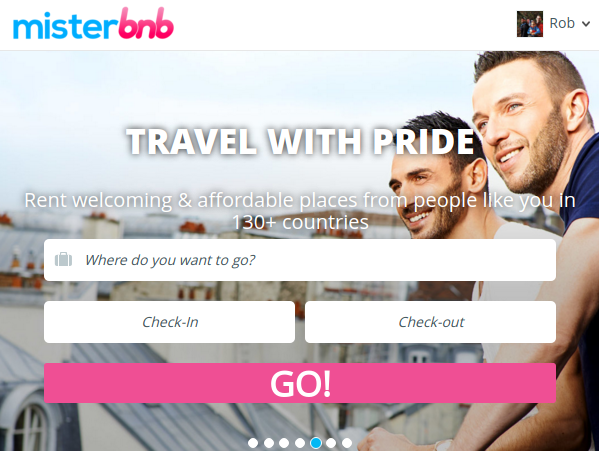 How did MisterBNB save my weekend? Would I use MisterBNB again? 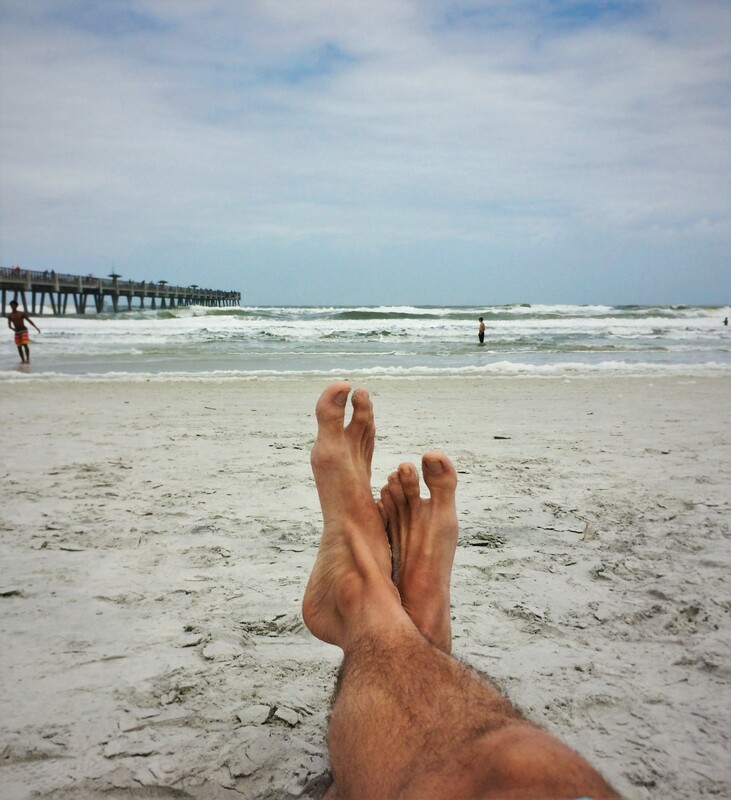 Everybody has heard of AirBNB and VRBO, and both are pretty awesome. With those services though, there’s a certain level of ambiguity as to the sort of experience you’ll have and who your hosts will be. Will you show up and it’s a house with unavoidable interaction and complete personality clashes? Will you be in an area far from anything interesting and have no clue what to do? Well, MisterBNB addresses those issues. We’ve checked into a BNB before and checked out the next day following a clear conflict of beliefs and not being welcome as a gay family. MisterBNB is specifically for gay travelers who are looking for the home stay experience but with the knowledge that they’ll be welcome and comfortable. 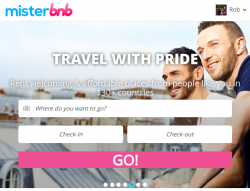 MisterBNB has all of the same functionality of other home stay platforms, but also has the personal aspect of being designed by and for the LGBT community to ensure the best gay travel experiences. 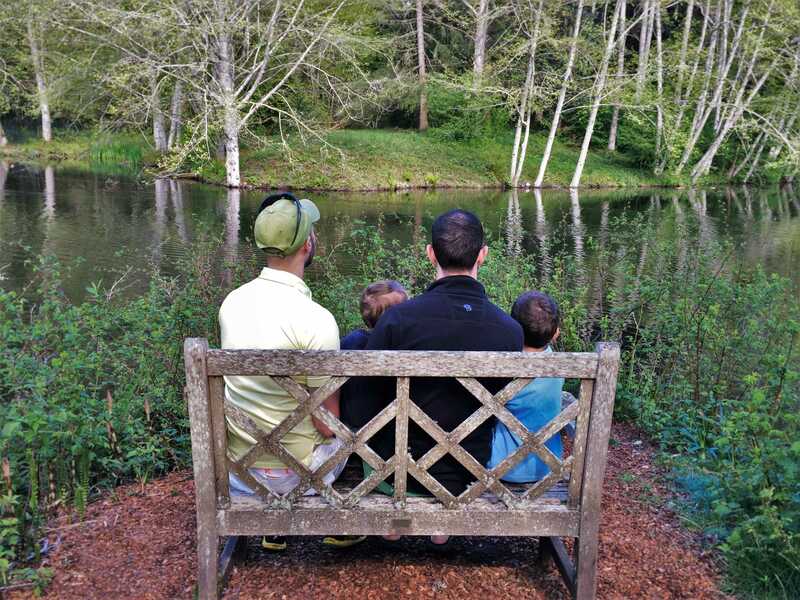 I wish that we never had to worry about being welcome, safe, and comfortable, but there is still the random time that makes gay travel something to be wary of, or at least cautious of the accommodations booked or destinations we visit. Note: if you’re not a member of the LGBT community or haven’t faced confrontation because of who you are, you might think that we’re just being overly sensitive. Please know that we always go into any travel situation hoping for and expecting the best, most welcome experience, but that’s just not always the case. Like I said, I’d not had a solo travel experience in 12 years. What does one do when you don’t have somebody to hang out with or kids to tuck in? My hosts, Billy and Kerry, were amazing. It’s funny, but when I first got there I felt like I was visiting some friends for the weekend, not staying with strangers in a random house. It was awesome. The guys made sure I was all set with my wifi, that my room was all good and that I knew where my conference activities were. They were clear to invite me along for their own weekend activities and weren’t just hosts, but buddies. Having friends for what could’ve been my loneliest weekend in years and years was so incredible. Now I also have friends in JAX to visit in the future. Note: MisterBNB hosts don’t have to hang out with your or ever even see you, but if you’re lucky like I was, they will. That’s something I love about our community: we all want to be friends with each other (most of the time). Growing up and traveling we’d often stay with friends or family on the road, and now as an adult we offer up our own guest rooms to friends, and that’s just what my MisterBNB stay was like. 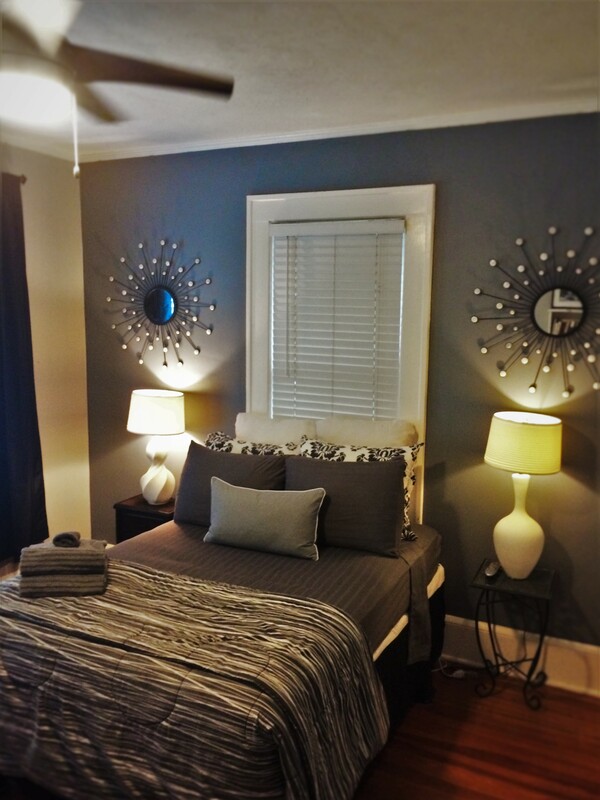 I had a very nice, very clean room with a shared bathroom and run of the house for whatever I needed. I even got to snuggle with a cat. Good story: I had work to do on Saturday night so wasn’t going out on the town with the guys, so they set the cat and I up with a movie and I made myself at home with my laptop on the couch. And that’s why MisterBNB was my perfect solution to a solo travel weekend. The neighborhood I stayed in was awesome. 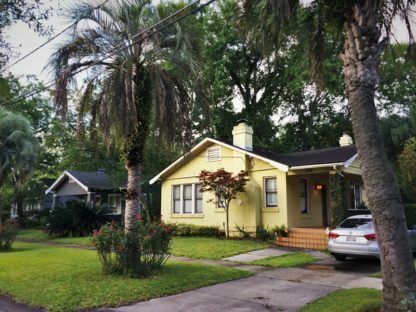 Avondale is an historic neighborhood in Jacksonville, Florida and it’s beautiful. 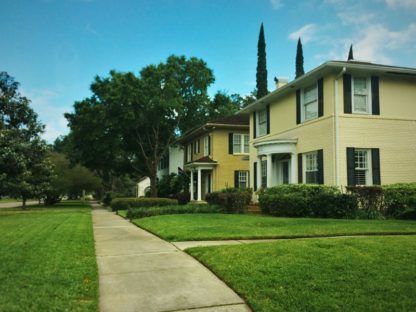 Picture the Spanish moss-covered trees of St Augustine with the neighborhood feel of Leave it to Beaver. Really, I couldn’t have asked for a more charming place to stay. The nightlife of the area was also hoppin’. I joined Billy and Kerry, my MisterBNB hosts, out for a friend’s birthday gathering and had some awesome, well crafted hipster cocktails. 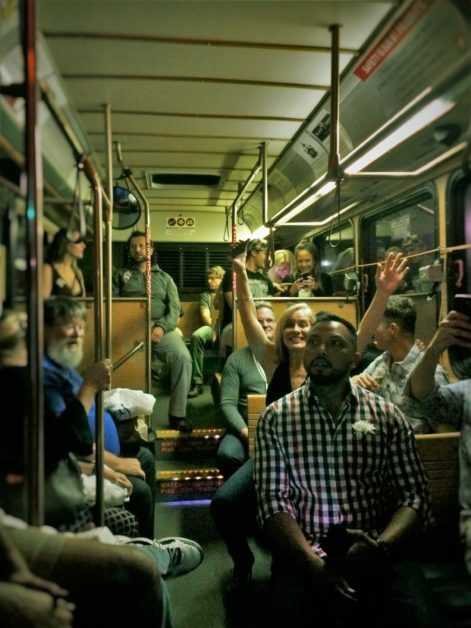 We got to ride the neighborhood trolley to a hilarious dive bar and then took an Uber back to the cool part of the hood. Thank goodness my hosts never forgot about me or let me loose to find my own way, because that would’ve made this story a totally bummer. Nope, they watched over me and made sure I got home safely…and that I had fun. 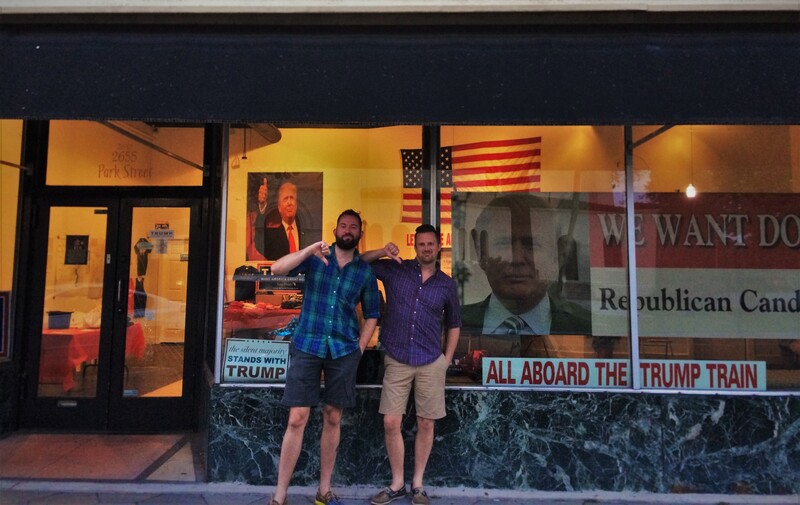 Funny story: one sight Billy and Kerry made sure I saw was the local Donald Trump headquarters in the gayborhood. It was truly a surprising sight to see in the Avondale neighborhood as the affiliation clearly didn’t match the majority of the residents. 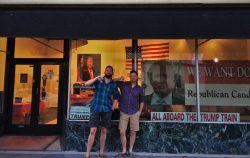 Is any gay travel experience complete without seeing something political? I would definitely book through MisterBNB again, both for my own solo travel (as I’m sure that’ll happen again) or for family travel even. 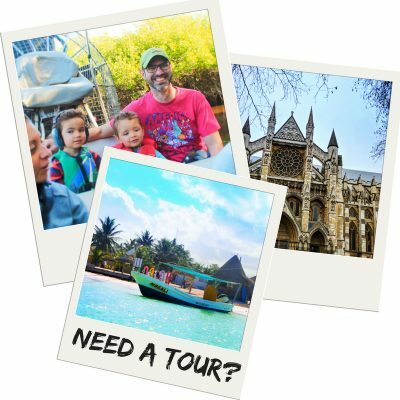 I did some research and there are hosts in different locations and some properties listed on the site that can absolutely accommodate our awesome little family. 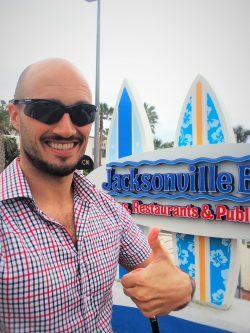 I know that based on this experience using MisterBNB in Jacksonville and prior experience doing more general BNB booking, I feel more comfortable and confident booking myself or my family into accommodations that I know will welcome us. I’m thankful MisterBNB welcomed me and helped me have a relaxed and memorable solo travel weekend. 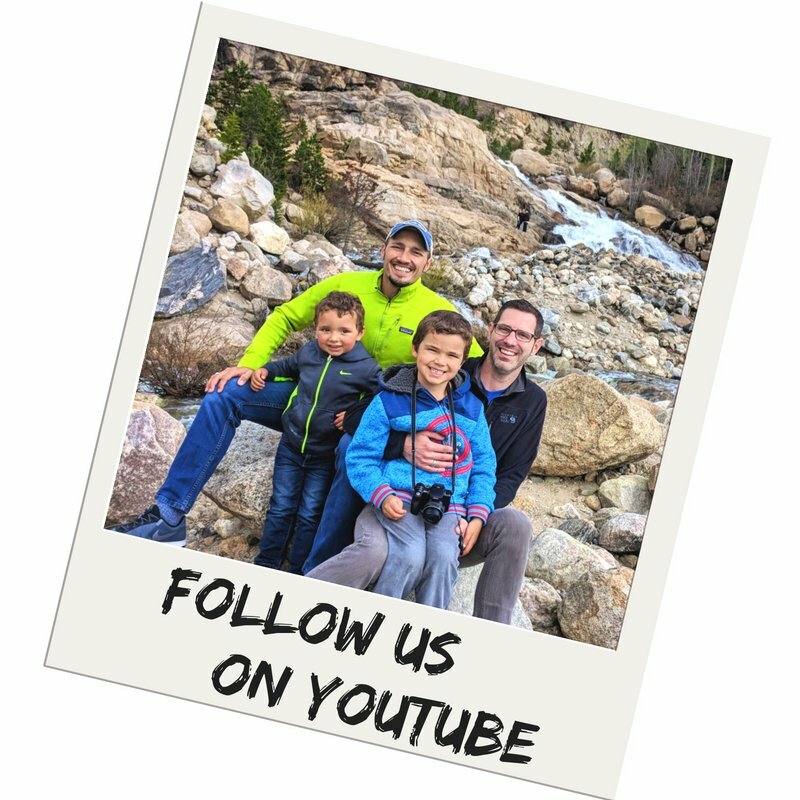 I look forward to trying other hosts out in the future and would love to encourage other gay families and LGBT travelers to do the same! Love this! I am sitting on a plane going to a conference sans family and I feel NAKED! It’s a weird experience! Thanks for sharing about MisterBNB.